You never planned on running a farm. This sort of fell into your lap, didn't it? "That's right. But when the opportunity presented itself, it seemed like a good idea. I worked for Dane DeCarlo and Katie Hemingway, helping out with the nursery and landscaping. They'd always wanted to do some farming in the back half of the plot, which wasn't really being used, but they decided they didn't want to keep the property. So I took over, so to speak. It seemed like a better use of time than just working for someone else all the time... I had felt like I was waiting for purpose. Then I was given the opurtunity to find purpose." Do you have any goals when it comes to Boatyard Farm? 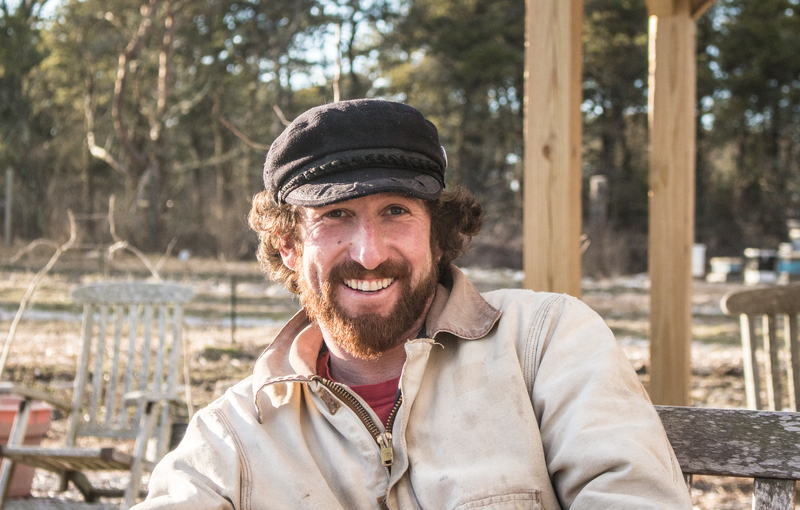 "I wanna grow as much delicious food as possible, and still have time to go sailing." What's your favorite part about farming? "Watching stuff grow. It's definitely the closest thing to magic. It's just amazing. You have this tiny little seed, and it becomes this giant plant. Seeing the greenhouse go from being this empty, cavernous space to a freakin' rainforest during the summer." What's the hardest part of being a farmer? "Making decisions. 90% of the time I've spent working on this farm has been doing things that failed, or were not a good idea to start with, or had to be completely undone. You just don't know. Also there's a lot of stuff that, at first glance, doesn't really seem like farming. Like the fact that it's a business. That's just a whole other skill set." What have you learned in the last 2 1/2 years of running a farm? "I've learned that any big goal, when it's been broken down into pieces, is juts a bunch of really simple tasks. If you look at it that way, anything seems a lot more feasible." Any advice you'd like to give to aspiring farmers? "I don't think I have any advice. I have no idea what I'm doing, and I expect that to be the case for quite some time. Actually, yes I do... you can't understand life, so you might as well enjoy it. It's a lot easier to do a lot of hard work if you're having a good time." Humans of Nantucket, modeled after the famous Humans of New York, intends to portray various members of the island community who share with us their lives, dreams and hopes.